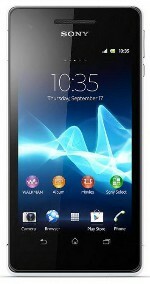 The Sony Xperia V was announced alongside the similarly specced Xperia T in August 2012. The smartphone boasts a 4.3-inch display, 1.5GHz Snapdragon dual core processor, LTE and NFC functionality. The device runs Android 4.0, with an upgrade to Android 4.1 Jelly Bean promised to follow. The Xperia V retails from around £349 SIM-free in the UK.